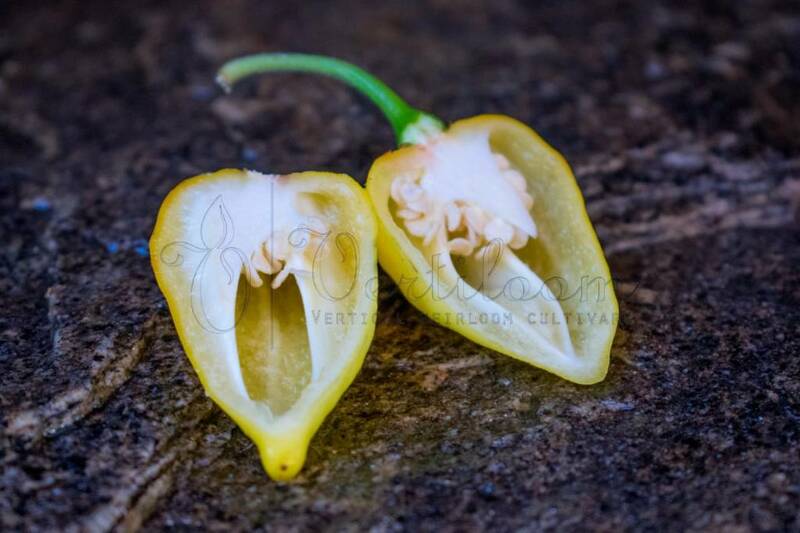 Capsicum chinense from Costa Rica. 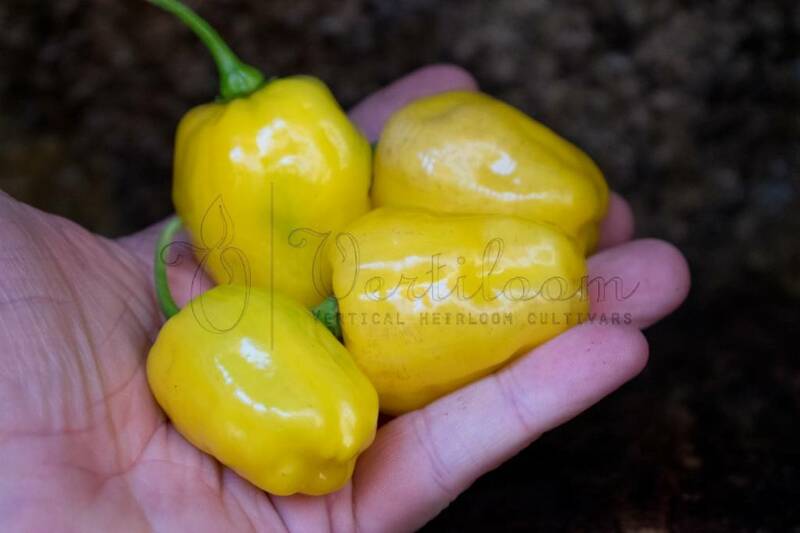 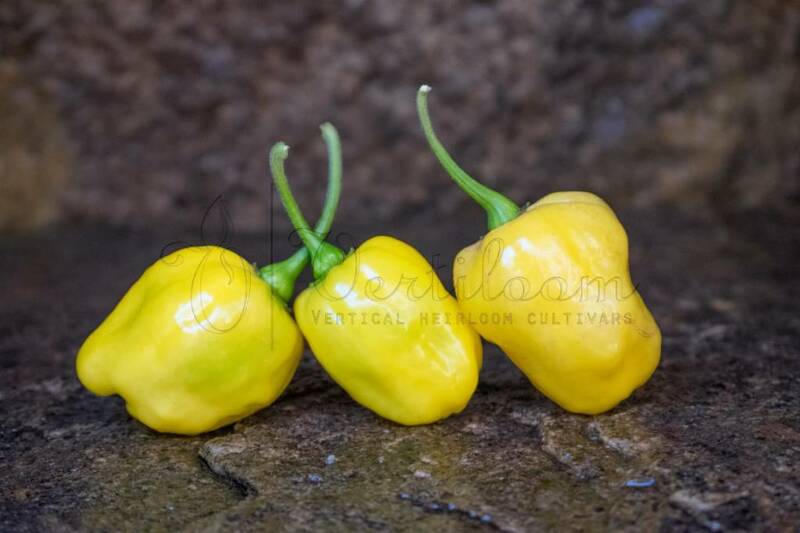 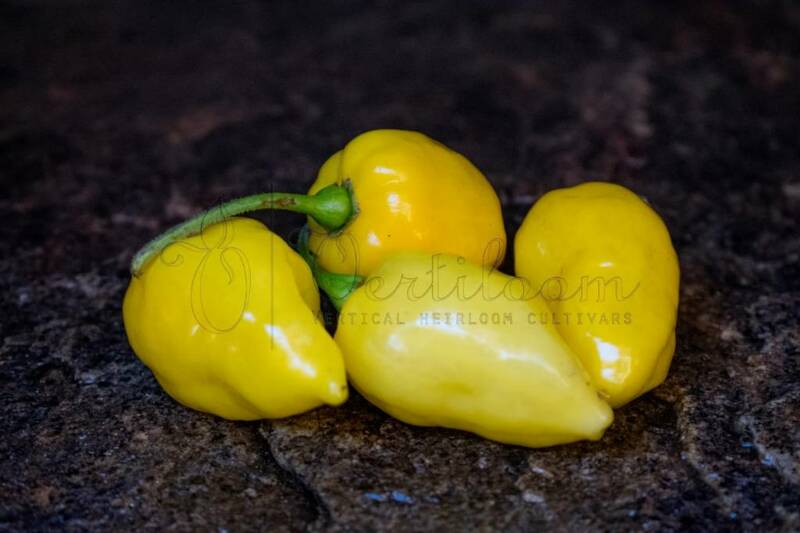 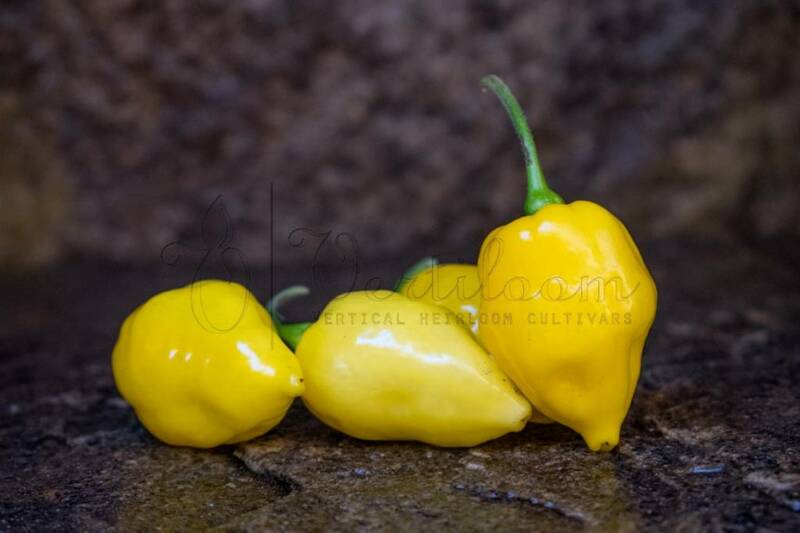 Irregular conically shaped yellow Habanero type fruits. 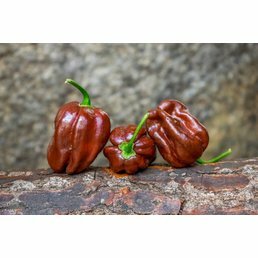 Exotic fruity taste with a serious heat. 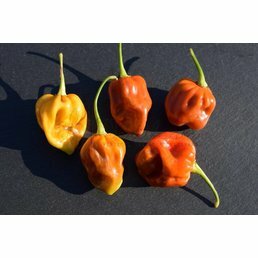 Very high yields at the end of the season.